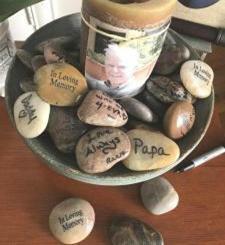 Use memory stones as a guest book. At the memorial service friends and family are invited to write on the memory stones. You can then keep the stones and remember the tributes people made to your loved one. The memory stones would be nice to add to the base of a plant in your home or garden. It’s a beautiful way to keep the memory of the departed alive. You can find memorial memory stones here. 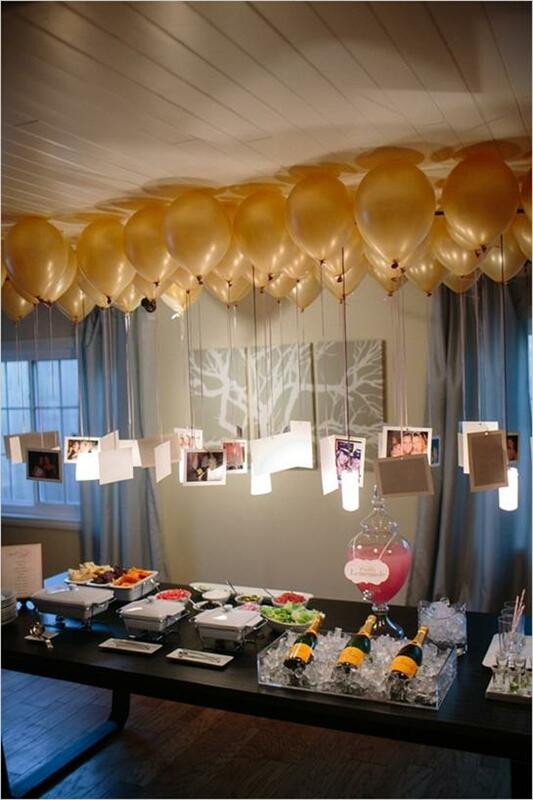 Attach a photo from each of the years of your loved one’s life to a balloon. Find a photo of each year from your loved one’s life and attach it to a balloon. Display the balloon at the celebration of life. Friends and family will look at the photos and reminisce. At the end of the service family and friends are invited to take a balloon and photo and release the balloon (they are welcome to remove the photo and hold onto it as a special keepsake). More ideas here. 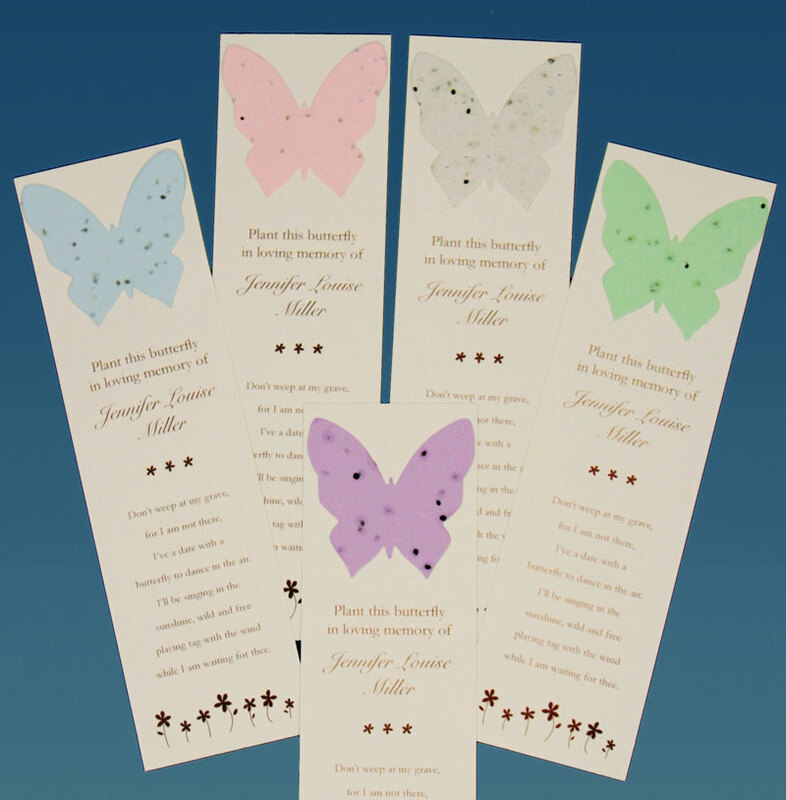 Consider using the lyrics on memorial cards or bookmarks. You could also use the lyrics on a funeral program. Find songs and lyrics here. This entry was posted in celebration of life ideas and tagged celebration of life ideas, funeral balloon release, funeral ceremony, funeral favor, funeral ideas, funeral planning, funeral songs, life celebration ideas, memorial balloon release, memorial service ideas, memory stones, tribute. Bookmark the permalink.